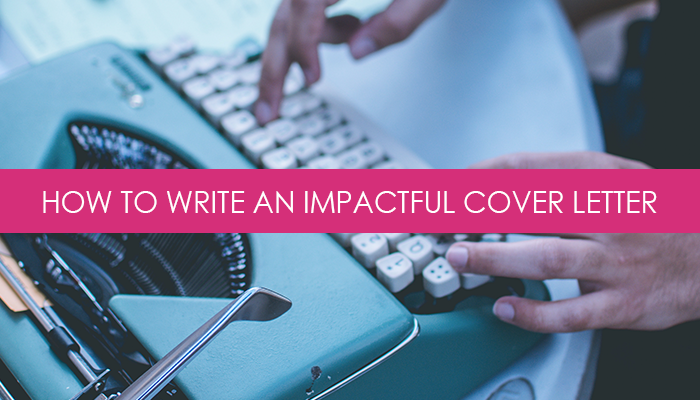 Q: What is the most effective formula or strategy for writing a great cover letter? On top of that, communicating a strong message that complements your resume and markets your most marketable experience, knowledge, and skill sets is really the core of what the letter should be about. Before you start, use the same formatting/style elements as your resume, including the header that has your name and contact info. Creating uniformity in your presentation sets a professional tone. In general, the cover letter should make the connection between the skill and experience-based qualifications in your resume, and your interest and relevance to the particular role, organization, and industry at hand. This can be especially important for career changers wanting to show why they’re making a change, and why that transition (that may or may not include hands-on experience) will be a smooth one. It sounds unnecessary, but a hiring manager can be recruiting for 100s of different positions, particularly if they’re a third-party placement firm, so you need to be clear as possible. This also makes it easy for them to forward your letter and resume along to the appropriate party who might be making the hiring and interviewing decisions. If you’re unsure how to address your reader, go with a simple greeting such as “Dear Hiring Manager”, or even “Hello-“. “To Whom it May Concern” or “Dear Sir or Madam” sound antiquated. Follow your opening with a 1 to 2-line brief high-level overview of your expertise or specialization, and what you bring to the table. How you approach it will differ depending upon your current employment situation and what you’re trying to convey. In a typical case, you might start off by introducing your current role and organization with a brief overview of what you do there, and any pertinent details to supplement that, such as accomplishments or ways that you’ve really positively impacted the company. The goal isn’t to reiterate what’s on the resume, but to give a compelling lead in that suggests that what you’re currently doing is relevant to the role you’re applying for. You might do the same for previous roles, but again, be concise. This is where you might discuss why you feel you’re a great fit for this particular role and organization. This is important because it not only shows that you did your homework and research, but this is how you effectively customize a cover letter. What aspects attract you to the role? How do you see yourself really thriving in this type of culture? What do you bring to the organization that’s particularly unique? You might go into personal attributes here as well, perhaps soft skills like how your ability to be flexible and adapt quickly makes you a strong candidate for successfully navigating a career change, or your passion for your work has proved valuable in moving up through your organization. I’ve been following Brooklyn Resume’s work and am intrigued by the new direction the agency is taking in establishing itself as experts in the multicultural advertising space. This appeals to me greatly, as I also bring experience within the Hispanic market sector from my last role as a Designer for DraftFBC, in addition to being a native Spanish speaker and having lived in Mexico for 3 years. To gain more experience in that space while leveraging my existing knowledge of the market would be the ideal next move in my career. Be sure to thank them in advance for their consideration. I welcome the opportunity to meet with you and discuss the needs of the position and my qualifications in more depth. Thank you in advance for your consideration, and I look forward to hearing from you regarding next steps. One thing to note is that your cover letter may address other areas outside of those mentioned, particularly if you’re changing careers, or perhaps making a transition from being self-employed for a long period of time back into the traditional 9 to 5. Another potential area is discussing an employment gap, which I advise you to do so in a way that points back to your strengths. Took time off to travel? What skills or knowledge, or cultural immersion did you gain along the way? It’s not the place to discuss maternity leave, illness, or other information that might be better left to a one-on-one conversation during an interview. Remember, this is your first impression, so make it your best. Need some additional inspiration for creating that perfect outreach letter? Try one of my customizable email marketing scripts to create an impactful message that grabs their attention. Try one of my templated email marketing scripts. A solid cover letter and resume is the key to landing the job interview. Check out our suite of resume and branded content services. Tags: career, communication, cover letters, hr, job search, personal branding, resume, shameless self promotion. Bookmark the permalink.